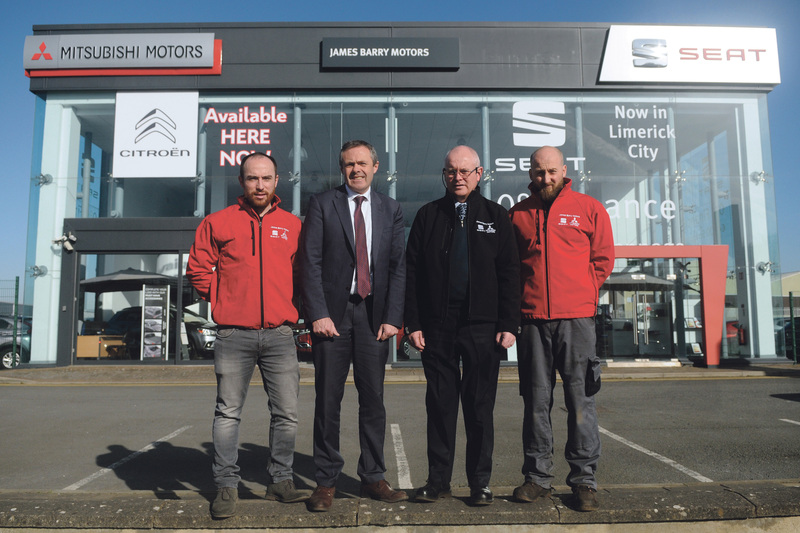 James Barry Motors, Dock Road, is run by husband and wife team, James and Diane Barry, who signed contract with the managing director of Citroën Ireland Pat Ryan at the dealership for the French automaker. James Barry Motors welcomes on board three service professionals from Limerick’s previous main dealer for the marque – Kieran McCarthy as parts manager, David Constable, service manager and Tom Cusack senior technician. Kieran, David and Tom are now an integral part of James Barry Motors’ aftersales team for Citroen. These experienced professionals were formerly with Clareview Car Sales.